Minimum order: 12/$6.15. 144/$5.84. 288/$5.21. This 5-panel cap has mesh mid and back panels for superior ventilation and a trend-right snapback closure for an easily adjustable fit. Fabric: 100% cotton twill front panels and bill; 100% polyester mid and back panels. Structured cap with high profile and 7-position adjustable snap closure. New Era® products may not be resold without embellishment. Minimum order: 1/$12.77. 12/$11.13. 144/$9.49. Trucker cap has garment washed cotton twill two front panels and visor with nylon mesh back panels. The unstructured hat is relaxed and has a contoured crown with contrasting colored seam taping. The visor is a pre-curved PE visor. The back of the cap has an adjustable plastic strap. Pink/White is available in Small/Ladies’ size only. Standard colors: First color is crown front panels, visor, and under visor. Second color is back panels and stitching. Minimum order: 12/$7.79. 144/$7.39. 288/$6.61. 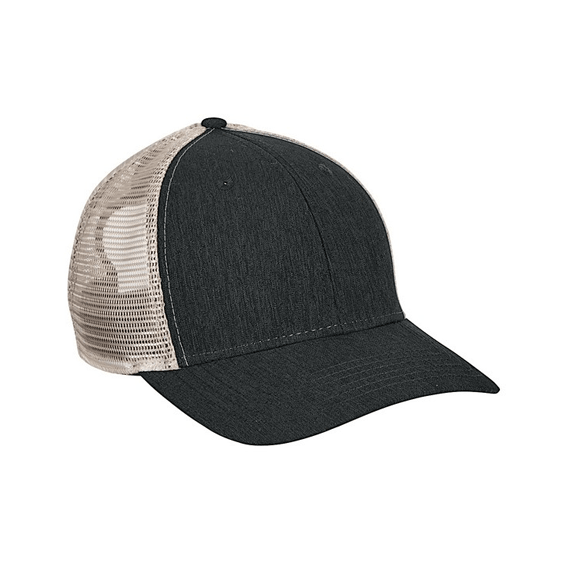 This casual structured mesh back adjustable cap has cotton polyester front panels and visor with nylon mesh back panels. 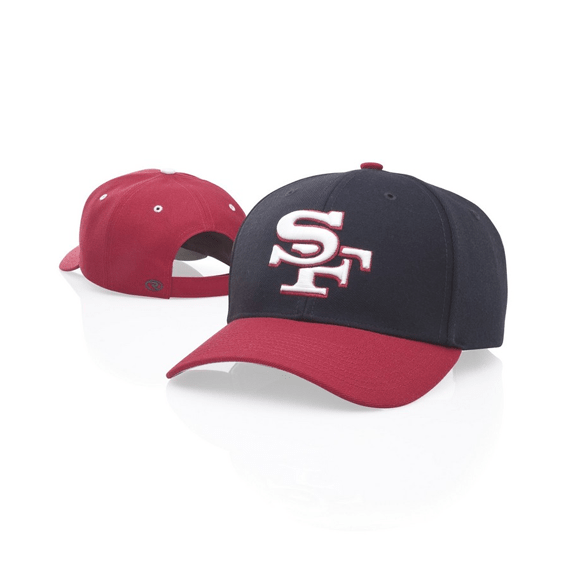 This cap has a ProCrown shape and Buckram-fused front panel with Pro Stitching. The hat features a pre-curved PE visor with 8 rows of stitching and an adjustable plastic back strap. Minimum order: 12/$8.20. 144/$7.79. 288/$6.97. Minimum order: 1/$12.28. 12/$10.64. 144/$9.00. Keep on truckin’ in this old-school, colorful favorite. 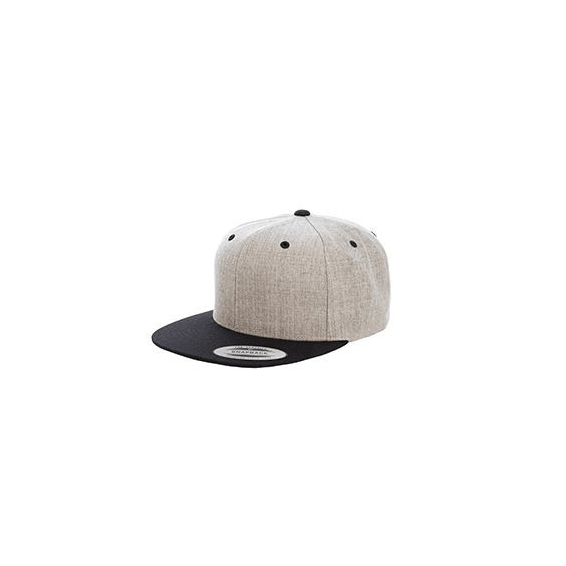 100% Polyester foam, structured, high profile, and plastic snapback closure. Minimum order: 1/$5.72. 12/$4.90. 144/$4.08. 63% Polyester, 34% cotton, 3% spandex combed twill with 6-panel, structured and mid-profile. Wool-like texture with 3 ½” crown, hard buckram backed front panels, and sewn eyelets. The original Flexfit® sweatband retains shape. Features 8-row stitching on bill and silver underbill. 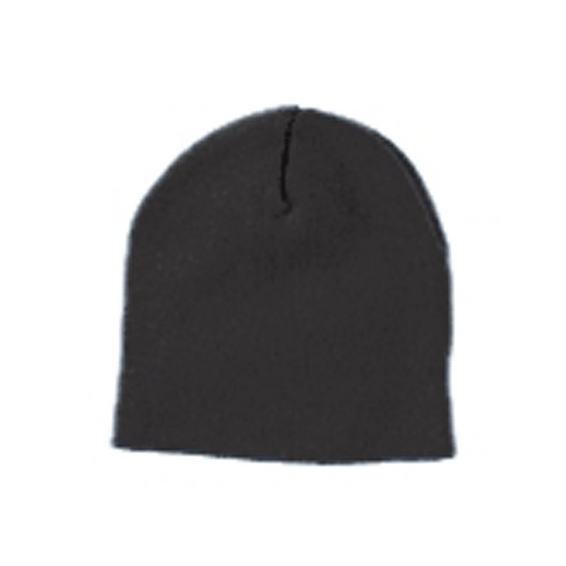 92% Polyester, 8% spandex with 6-panel, structured, mid-profile and eight-row stitch on bill. Hand buckram backed front panels and polyester/spandex mesh on side and back. Our 2-tone mesh design makes this breathable cap stand out. The front panels are black twill while the mid and back panels layer color under the mesh for an iridescent effect. 100% cotton twill front panels, 100% polyester mesh mid and back panels. Structured, high profile and 7-position adjustable snap closure. 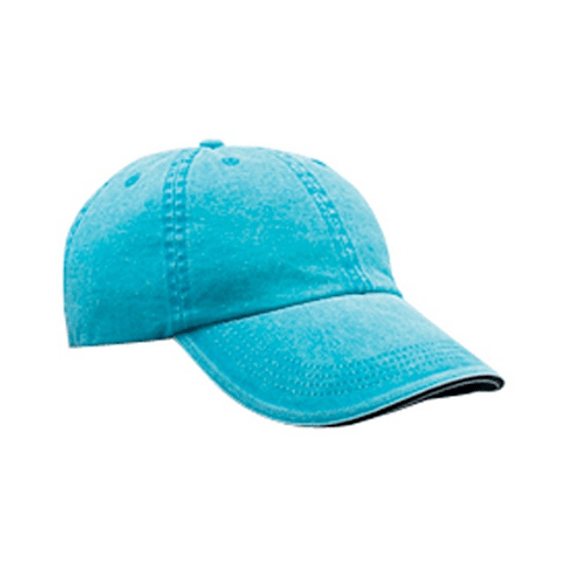 This garment washed, pigment-dyed cap has 2-tone styling to complement your logo or decoration. 100% cotton twill. Unstructured. Low profile. 6 panels. Self-fabric adjustable closure with brass buckle and grommet. This Low-profile, Casual Structured Mesh back Adjustable Snapback cap features Cotton-Polyester front panels & pre-curved visor, with nylon mesh back panels. Available in Split Colors, first color is Cotton-Poly front panels, second color is nylon mesh back & snapback. Minimum order: 12/$8.61. 144/$8.16. 288/$7.31. Features cotton twill/ nylon mesh visor with pre-curved visor, casual unstructured crown,cotton sweatband and adjustable plastic snap back. 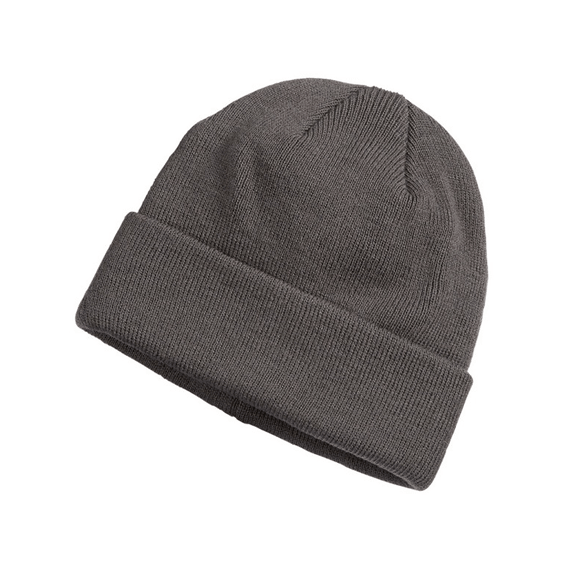 This garment washed cap is made of a heavyweight chino twill. 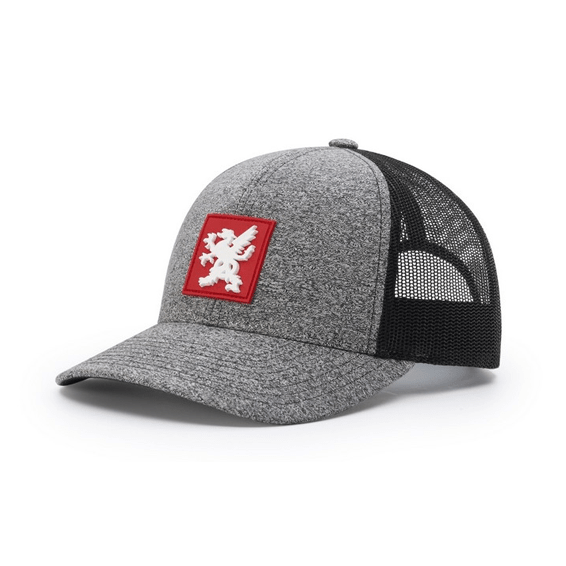 The hat features a relaxed contoured crown shape, and back adjustable strap with comfort buckle. The Two Adjustable Sizes: Small (6 1/2″-7 1/8″), Medium-Large (7″-7 3/4″). Solid cap colors with under visor is cap color. 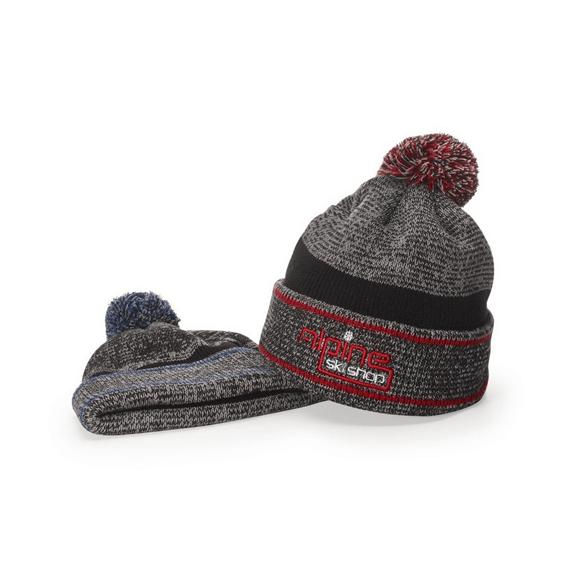 Keep your head well covered during cooler weather in our cap that has a 3″ folding cuff for easy embroidery. 100% acrylic. 1 Size fits most. Minimum order: 1/$4.08. 12/$3.75. 144/$2.44. 100% Cotton twill, 6-panel and low-profile. Unconstructed crown with top button and six sewn eyelets and matched color sweatband. Fabric closure with Velcro. Pre-curved bill has navy sandwich trim and 4-rows stitching. One size. 80% Acrylic, 20% wool. Camo is 60% cotton, 40% polyester. 6-Panel, structured and high profile with eight-row stitching on flat visor. Performance poly-serge fabric with moisture-wicking functionality. Pro Crown shape with buckram fused front panels. 1 3/8″ Pro Sweatband with twill face. Pre-curved ProVisor. Adjustable hook-and-loop cloth back strap. Available in different options: Solid cap colors (under visor is charcoal); combination colors with contrasting eyelets, visor, and button; and contrasting colors. SM 6 1/2″-7 1/4″, MD LG 7″-7 3/4″. Minimum order: 12/$9.84. 144/$9.34. 288/$8.36. Made of 100% acrylic. Features 6 top seam knit.